The MBA batch of 2013-2015 at IIT Kanpur, was lucky to be facilitated by an extremely interactive session with a distinguished alumnus of IIT Kanpur, having around 35 years of experience in the industry. 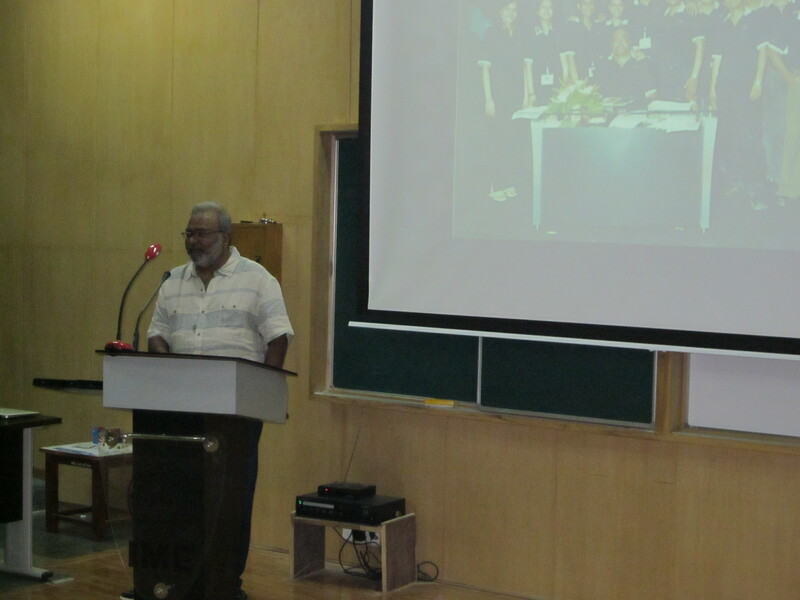 Mr. Hemant Shah, being one of the eminent speakers and guest lecturers in colleges like SPJIMR shared his views, on why there is a “need for shift” in industry and made the students’ think from a managerial perspective. The area primarily covered was “Innovation”, its need, how do they do it, and what differentiates a leader from an employee. While the focus remained innovation, he also covered some of the essential topics like Wealth Creation, Branding, Strategizing and consistent improvement and improvisation of ideas over a period of time. Citing examples from the Diamond industry, he influenced one’s perspective, to think, plan and act with a positive mindset. The students showed immense curiosity while asking him questions regarding branding, the establishment of businesses, and the perspective he has, over the growth of Indian Economy. Being little witty at times, and quite subtle in the next moment, he truly took everyone by surprise. The last few minutes, he took to make us think, about the things which really matter in life, and those are “FFC” as he called it, Friends, Family and Colleagues. It was an honor for the MBA Department that Mr. Hemant Shah shared his wisdom with our students and guided them for a better future and helped them preparing for the industry shift which will happen in the years to come. We are thankful for his sheer presence and kind personality which makes him so different from the rest.